Numerous free diabetic meal menus are available online and through the mail. Many of these menus are simple to prepare, which makes meal planning a breeze. You can find free diabetic meal menus in a number of ways. Participate in a recipe exchange. If you are a member of a diabetic support group either in your area or online, a recipe exchange is a great way to vamp up your meals. Members exchange their favorite recipes with others, and many of these recipes are simple to make. If you aren't involved in a recipe exchange, why not start one? Ask your health care providers. Doctors' offices are notorious for garnering numerous pamphlets, samples, and other publications. Your doctor may have small booklets with delicious recipes, but unless you inquire about these, you'll never see them. Ask your doctor or his staff about any recipe booklets or pamphlets they might have available to give free of charge. Order free publications by mail. You can often order items free by mail. Sites such as My Coupons offers readers lots of free products that you simply register for online and receive by mail. These often include health related publications, such as diabetic meal menus and recipes. Search online. Your best bet is to search online for free diabetic meal menus. Sometimes all it takes is for you to register with a particular site. There may be recipes that are available for download or for you to print as well. 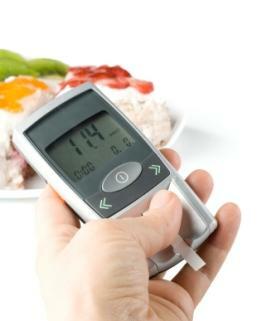 Where can you find free recipes and free diabetic menus for those with diabetes? We've searched the Internet and found some sites you may find helpful. Diabetic Diet for Diabetes: This site provides exclusive information on diabetic diets, which includes sample diabetic meals, menus, diabetic food exchange lists and diabetes foods guides. There are specific links for Type 1 and Type 2 diabetes information as well. Diabetic Gourmet Magazine: This site offers a variety of menus, including American, Southern, and Hispanic fares. American Diabetes Association: If you haven't visited this site, you are missing out on a wealth of information. Check out links like "Recipe of the Day" and "Virtual Grocery", and be sure you click on the link to "Cookbooks & Meal Planners." Don't just settle for the same menus every week. Branch out and discover a world of healthy foods and recipes perfect for your diabetic needs!